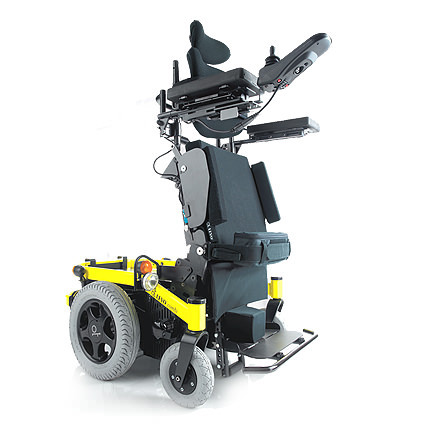 Power Function Available: Tilt Seat, Elevating Seat, Elevating Legrest Recline Mechanism. 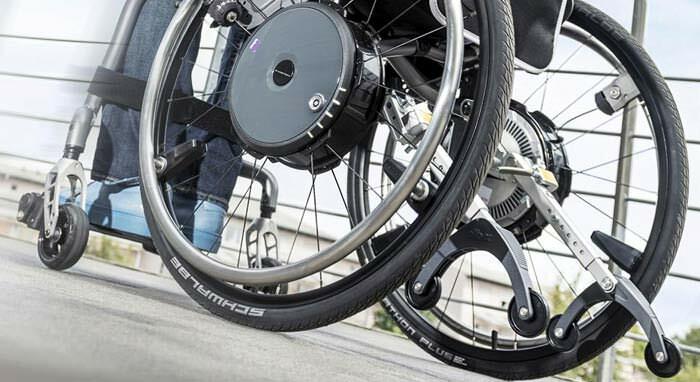 Levo Combi junior standing power wheelchair is the world’s ultimate precision engineered full power standing wheelchair which provides the widest range of electric powered wheelchair positions. 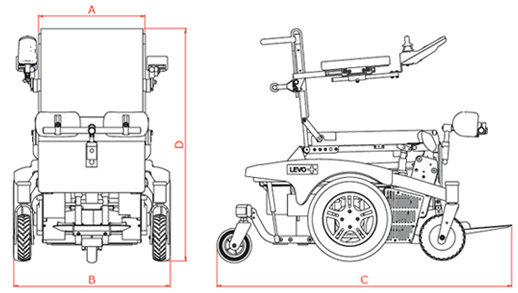 However, the Levo Combi junior standing power wheelchair is designed and sized to fit the special needs of your child. Levo Combi junior has multiple seating, tilt, recline and standing capabilities. Levo Combi junior maximizes your child's participation in daily opportunities and activities. Easy adjustable growth plates, components and a wide range of children's accessories allow the Levo Combi junior stander wheelchair to grow with your child for many years. Max. user weight up to 265 lbs. Seat width (A) 11.8" / 13.8" / 15"
Total height (incl. backrest upholstery) (D) 35" - 40.9"
Seat height (with seat cushion) 22" - 27.9"
Seat upholstery depth 9.4" - 12.2"
Armrest height 5.9" - 13"
Back height (with standard backrest upholstery) 16.9"
Foot rest height 9" - 18.5"
Max. chair weight 375 lbs. Max. user weight 265 lbs. Transport dimension 36.6" x 26" x 26.4"